The Voluntourist took the silver prize on Wednesday in the annual North American Travel Journalists Association awards competition, which honors outstanding work in travel media. The competition, now in its 21st year, honors the “best of the best” in travel writing, photojournalism, social media, multimedia platforms, advertising, marketing and public relations for the travel and tourism industry. This year, NATJA received more than 500 submissions from around the world. 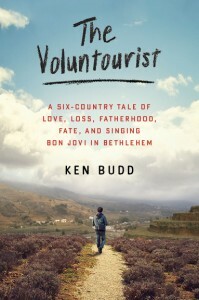 The Voluntourist won in the book category.